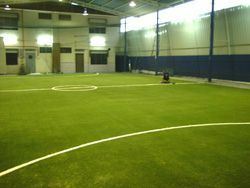 Futsal Project in Johor (Masai). 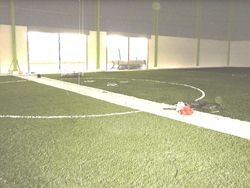 Synthetic Turf with Lines Drawn. 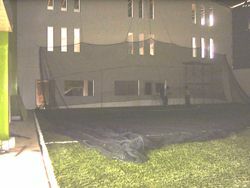 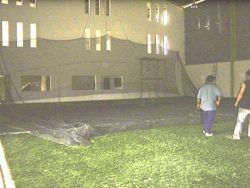 Futsal Courts are currently under construction and nets partially raised at the time the photos were taken. 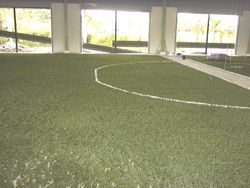 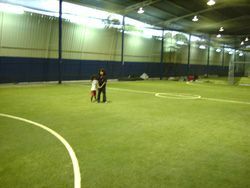 Check out more photos of 2-toned synthetic turf courts in Extreme Park Futsal Centre, Shah Alam.